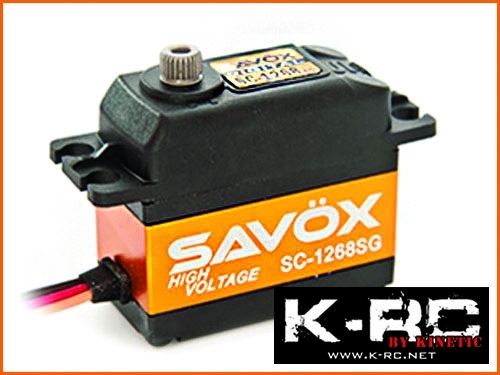 This high torque steel geared servo is also high voltage. Now you can run an unregulated LiPo battery for extream torque! The SC-1268SG is the high torque servo you always dreamed of. Best used for 1/8th scale nitro racing and can push 347.2 oz. of torque.